As many people go away around December and January, it seems timely to discuss medication considerations when travelling. Firstly, you need to ensure you will have enough prescribed medicine for your trip. Arrange to see your doctor and chemist for prescriptions. If you need more than a month’s supply of medicines, your GP can make a notation on the script, for travel, so that extra can be dispensed by the chemist. You should take a medication list from your doctor, stating what the medicine is, the dose you take, and that it is for your personal use (or for someone travelling with you). Keep medicines in their original, labelled, packs. Certain medications require special considerations, for example insulin injections (so a sharps container should be carried) and refrigeration of thyroid medication. Think about what extra medicines you may need for situations such as acute pain, nausea, diarrhoea, urinary infections (if you are prone), chest infections if you have airways disease, and asthma inhalers. Some GPs prescribe travel kits for such purposes. 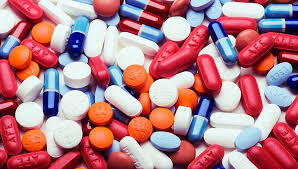 It is important to be aware of laws regarding taking your medications into foreign countries. In the first instance, you should be aware that it is illegal to give your PBS-subsidised medication to others. You cannot send it to overseas relatives, or on-sell it. You also need to be careful taking your medicines into other countries for your own use. It was recently announced that visitors to the United Arab Emirates must gain approval online to travel with prescription medicines; failure to disclose prescribed medication at Dubai, for instance, could result in prosecution. Plan ahead and have a healthy and happy holiday. The department of Foreign Affairs and Trade provides up to date information on travel precautions. Refer to their smartraveller site. Dr Marie Healy is a GP with interests in aged and chronic care and health promotion. This advice is general in nature; please see your GP for specific health advice regarding your individual circumstances.